Will Groover was selected as an intern for the Southeast Region. He currently is pursuing a Ph.D. from Auburn University under the direction of Dr. Kathy Lawrence. 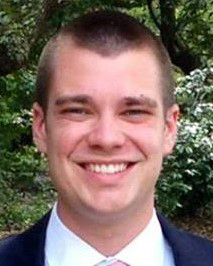 Will’s research focuses on plant pathology with an emphasis on turfgrass management. Although Will grew up outside of Savannah, Georgia on a thousand-acre cotton and peanut farm, it wasn’t until later in life that he became interested in turfgrass. While pursuing his bachelor’s degree at the University of Georgia (UGA), he spent a summer working for the Georgia Seed Development Commission where he helped maintain UGA plant breeder turf plots. Will also has worked on various disease management research projects at Auburn University, primarily with an emphasis on nematode management in turfgrass. Will’s projected graduation date is May 2020, with the goal of one day working in some facet of the turfgrass industry.